UNLOCK THIS COACHING PLAN TODAY! Start this coaching plan today! Get ready to take your game to a whole new level. Playing the best golf of your life is totally possible! Sign up today to unlock this plan, or you can purchase it directly and get access. When you sign up as a member you’ll be granted access to unlock any coaching plan. When you make a one-time purchase, you'll only have access to this coaching plan. Learn more about our membership here. Redefine what’s possible with your golfing game & make what you thought was the impossible, possible. 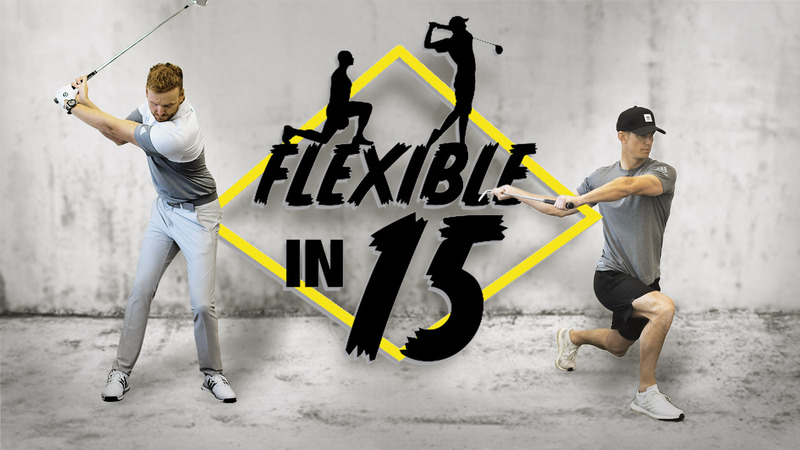 Welcome to Flexible in 15, where we aim to make you feel, move and play better over a 6 week period. We will be putting you through your paces and testing all parts of your golfing mechanics. The plan consists of 3 parts over a 6 week period these are, 1 - Breaking the Ice, 2 - Groove the Move, and 3 - Reap the Rewards. Each stage is repeated over a 2 week period before you progress to the following stage. As you progress we expect you to see major improvements in flexibility, strength, and durability. Your body will quickly adapt to the practices from one of the finest conditioning coaches we've ever come across. Week 1 and 2 is the “Testing” and “Early Flexibility” stage. Here we test your current flexibility, to help identify how you best move. We show you how to prime your muscles before moving in to your first stretching routine. This week you will repeat the exercises in week 1. You will be familiar with the exercises now and this is where you go deeper into the stretches to create more freedom to help you move better and prepare yourself for stage 2. Week 3 and 4 moves you to your “Advanced Flexibility” stretching routine. Here you progress to another level enhancing your stretches, creating a deeper stretch, continuing to improve. This week you will repeat the exercises in week 3 as you progress through these more advanced moves. Your movement will be so much easier now as you move towards your final stage. Week 5 and 6 moves you in to the “Sport Specific” stage where we ramp up the exercises, as you will now be feeling more Flexible than ever. These exercise are more advanced, helping you to transfer this plan out on to the golf course. In your final week repeat the exercises in week 5 again going deeper and pushing your body to really feel the full benefit of the plan. Your body will now be freer than ever and you should be feeling great on the golf course. Get your mind and body ready for the golf course, so you start your round as you mean to go on with this simple, effective dynamic warm-up routine that you can do right before you play. You're one coaching plan away from breaking through! Get ready to break through your game like never before! Get premium access to all our coaching plans.